This is the Plasma Car. It is lightweight, easy to use and most of all it is FUN! Just sit down on the comfy molded seat, put feet up onto the foot pads, grab hold of the steering wheel with both hands and wiggle wiggle wiggle. All you have to do is wiggle the steering wheel back and forth to move forward, it's so easy. You can even go in reverse by easily flipping the wheal around. The best place to use your Plasma Car is on a flat surface free from lots of debris or deep cracks. It's pretty crazy that there are no pedals! At first my children would not believe me but once I showed the how it works they could not wait to play. Assembly was easy as pie, all I had to do was pop the parts together, use a screwdriver on the steering column and viola! 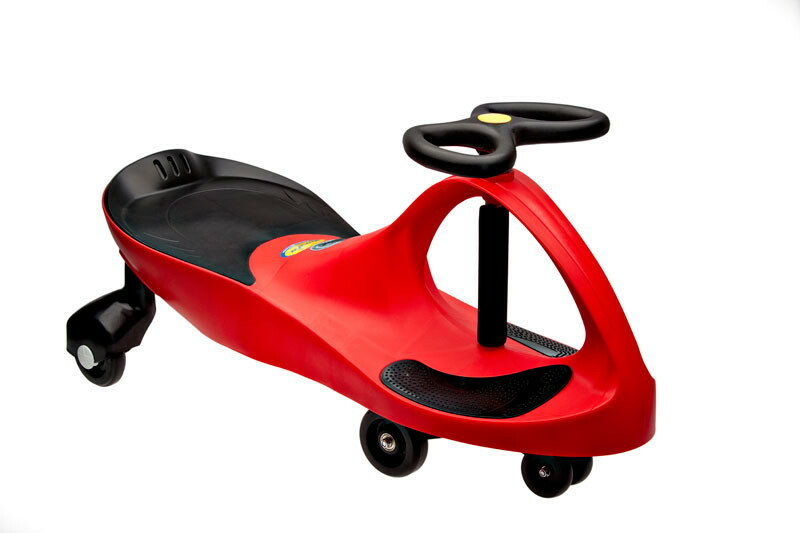 The Plasma Car is recommended for ages 3 and up and anyone up to 220 pounds! It has been built with some very durable plastics and if anything were to happen to it Plasma Car stands behind their product with a 6 month warranty against manufacturer defect. The science of this special toy is that it harnesses the natural forces of inertia, centrifugal force and friction. What a great toy to use as a fun yet educational tool! You can teach a lesson on natural forces while they have a blast at the same time. This toy comes in many different colors so that you can get each of the kids one in their favorite color. Warning: The PlasmaCar is not recommended for use on laminate and hardwood flooring, as the wheels may damage some surfaces. Some adult assembly is required. We this toy 5 out of 5 hearts! Disclaimer: I did not receive monetary compensation for this review. I was sent the product(s) free of charge by the company or PR representative. It has been used solely for the purpose of this honest review. The views are strictly 100% my own. Receiving the product did not influence me to produce a positive review.